I’m not sure about you, but we have had a record amount of rain this year. With rain brings bugs, i.e. mosquitoes. We love to be by the poolside without having to wear bug repellent so we took matters into our own hands. We made our own citronella candles that were pretty and could be used as a centerpiece. Fit the Tiki wicks into the bottle. Cut the wick short with either scissors or PVC cutter. 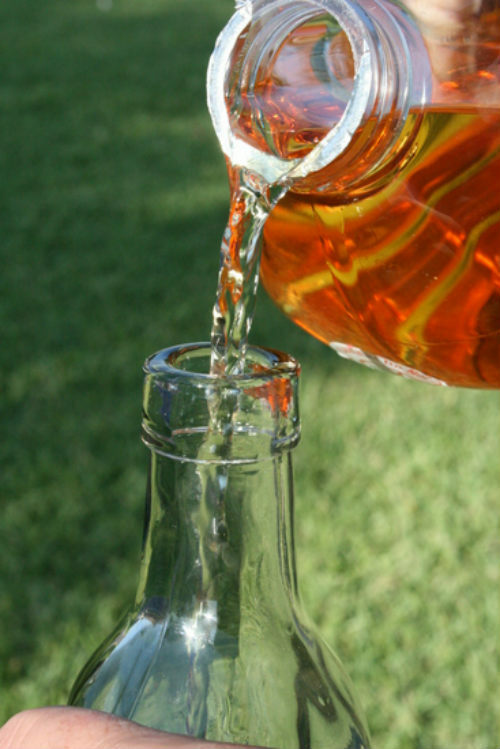 Fill bottle with oil. Be sure to wipe off any spills well. 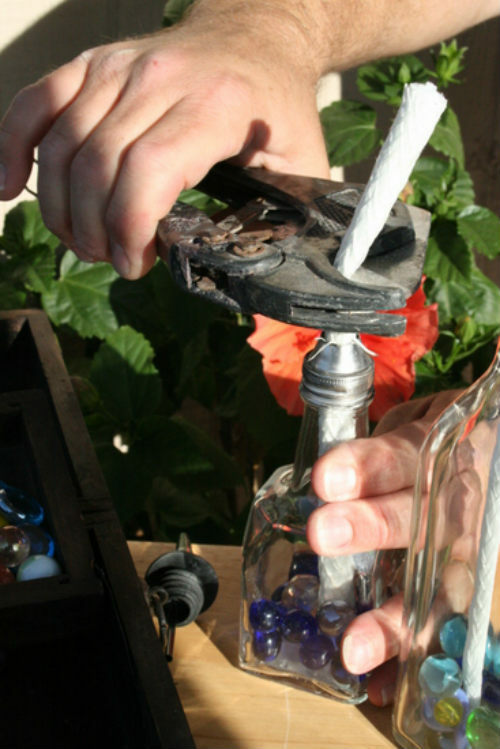 Wrap the wick with foil so the flame will not enter the bottle. As with all fire, use extreme caution. I would not recommend using a glass that could break with extreme heat. Our wick was wrapped with foil so the heat was away from the glass. Be aware that extreme temperatures in glass can cause breakage or explosion. These candles should not to be used inside the house or by children. Don’t leave the candle unattended for any length of time, and do not allow the wick to touch the glass. I, nor Pikidilly.com, will be held liable for any accidents. 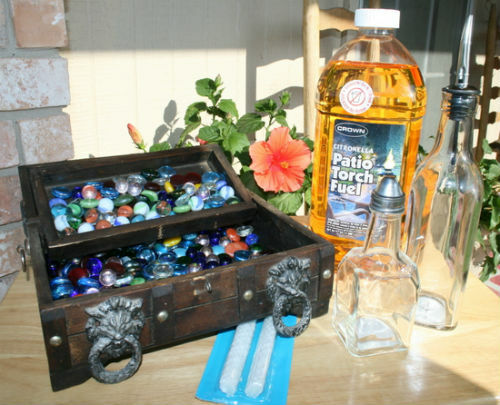 Use a mason jar, wine or a beer bottle. 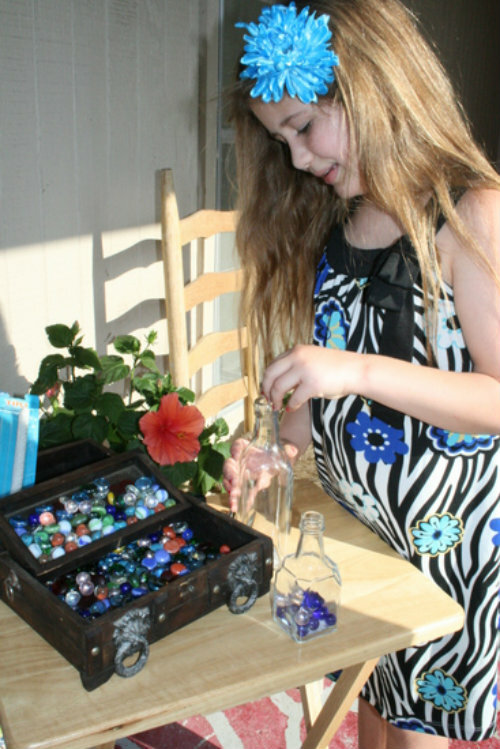 Remember a trip to the beach by adding seashells, fish rocks, sand or sea glass. Dominoes would be cute addition in the bottle for game nights.